donor match challenge - glad to help with this project Go Cards! Glad you are going to make this "field of dreams" come true. Some students from our Journalism Dept sharing a picture to say thank you all so much for your generosity. Through doing this fundraiser and selling more tickets at the door, plus all the donated food items and beverages that we were able to sell, we made more than enough to begin our field project!! We will share pictures with you as we get closer to completing the project. And a BIG congratulations to our students who beat the teachers and parents in the dodgeball tournament. It was great to see their team spirit come together. Thank you all so very much for supporting this venture. We are truly overwhelmed by your support for our school and rebuilding our field. We have had many generous contributions from local businesses, executives, and people just wanting to help, because we know they want to come to games and watch the kids get to play on a new field. We have enough donations so far that half of our entire student body will be able to play so far! Let's keep on sharing this and we will hit our goal! Our school needs to raise $40,000 to pay for a brand new outdoor field and recreation area for our students. Our high school has just over 800 students who need to use outdoor facilities all day long and in after school sports programs. The field is very old with hard dirt, and the topography is very hilly, which can be very dangerous for our kids. Our goal is to hire a professional excavating and landscaping company to come in and completely redo the entire 10 acres of property so we can rebuild our sports and rec fields for a higher level of training and play. We were looking for something different to do than the typical fundraisers when a friend suggested using Move Your Mountain. We have the best teachers, staff and students here and they brought up the idea of a dodgeball competition - so here you have it! This tournament will involve students, parents, teachers, staff (and anyone who wants to play dodgeball). (Must be 15 years and older to play) The cost to play is $25 per person. So bring a friend and/or family member to play with you (together for $50). If we had every student do that, we would meet our goal! We will also have food and beverages for sale during our tournament weekend. We will be hosting this tournament at our school gym. 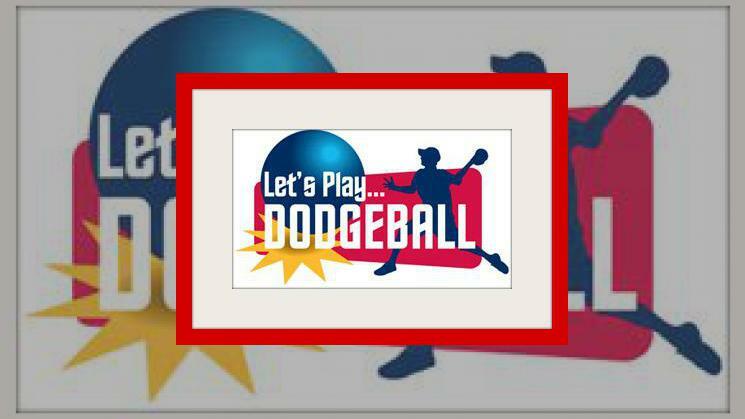 So start your dodgeball training now and get ready to: Dodge, Duck & Dive! All entry fees need to be paid for through this campaign. Make sure you enter your full name when making your donation as we will be organizing the tickets to distribute. You will receive an email as your tax deductible receipt. Thank you for supporting our fundraiser!